Premier League side Newcastle United have been linked with two more players ahead of the transfer deadline. Austria Wien player OlanrewajuKayode is one of the player linked with Tyneside. The Magpies can conclude the deal in the next few days, according to reports. The director of the club Franz Wohlfahrttold the club’s official website that the player is in talks with another club over a possible transfer soon. The player netted 17 times last season to win the Golden Boot in the Austrian top flight league. Newcastle are set to clash with Tottenham Hotspur on Sunday as they make their return to top flight football in England. Rafael Benitez is in search for a prolific striker that can get the goals in this summer and Kayode fits the description. Benitez has the option of Dwight Gayle and AleksandarMitrovic but the Spaniard is seeking fresh legs to boost the power upfront. Kayode’s tally of 30 goals in 62 games in impressive. 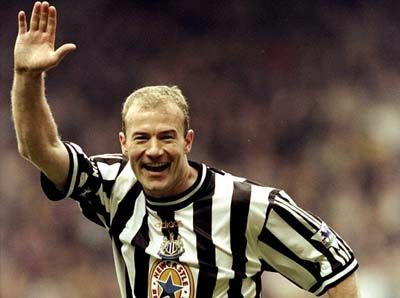 If he could replicate such form at Newcastle, the team would retain their status past this season. Own Goal Nigeria is reporting that Manchester City have decided to join the race for the Nigerian. City only just sold a Nigeria international KelechiIheanacho to Leicester City so it is unlikely that they would want to add another so soon, particularly with the flurry of forwards available to Pep Guardiola. Genoa man Diego Laxalt is the other man linked to the club. The 24-year old midfielder is priced around £14 million. Benitez could move for the Uruguay international but he would face stiff competition to land him. Liverpool, Everton and West Ham have been named as interested sides but nothing formal yet. The former Inter Milan prospect is also attracting interest from Fiorentina and Atalanta.